#ChurchToo. A Theatre of the Beat production. Director: Matt White. Dramaturg: Johnny Wideman. Starring Robert Murphy, Meghan Fowler, Lindsey Middleton and Brendan Kinnon. Theatre of the Beat’s #ChurchToo tries to answer these questions. How does such toxic theology create and uphold power imbalances within the church? The atmosphere before the premiere at the Conrad Centre in Kitchener, Ont., last month, was expectant and hesitant. We all knew we were about to see something important but we weren’t sure we wanted to see it. With no intermission, these seven short plays broach issues of sexual assault, abuse and power imbalances within the church today with unapologetic anger and reverent respect towards the stories they are telling. 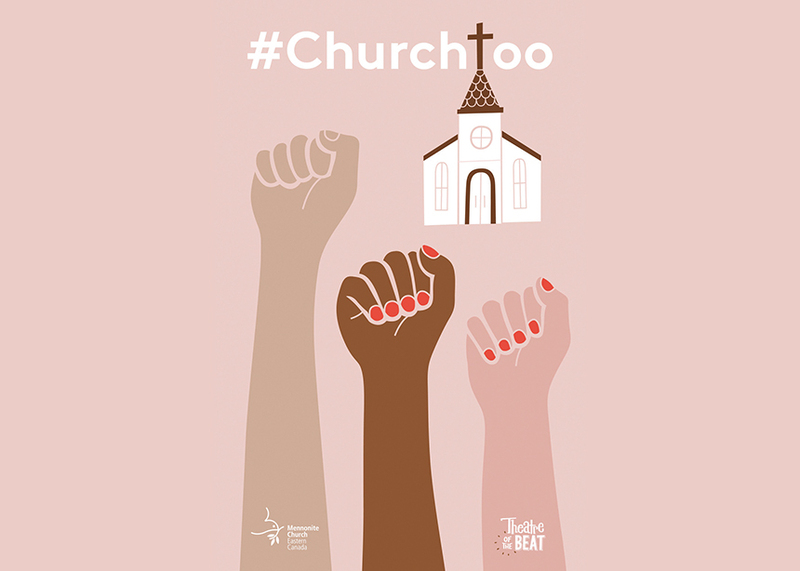 Written by playwrights from across North America, #ChurchToo was commissioned by Mennonite Church Eastern Canada in response to the wider #MeToo movement and revelations of sexual assault and abuse within the church. The pieces were workshopped by the creative team over this past summer before the formal premiere on Sept. 21, 2018. 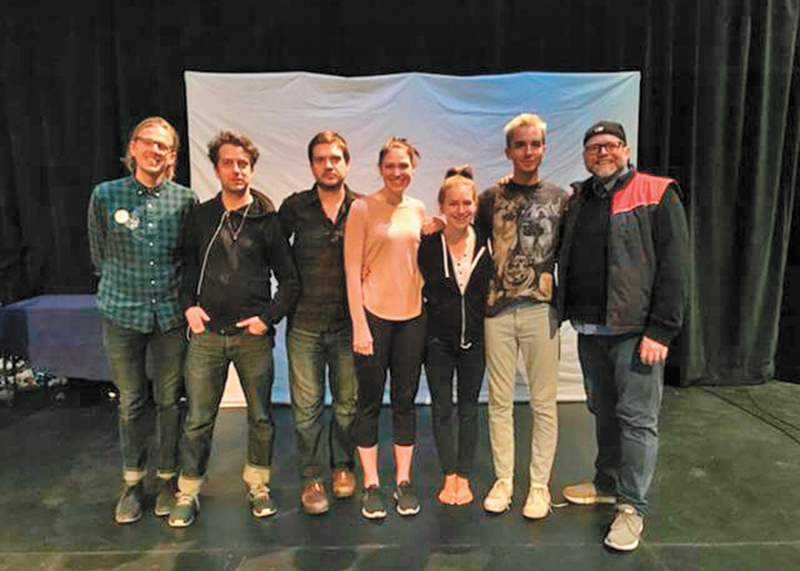 The cast is made up of four Toronto-based actors who play multiple roles, including being their own stage hands and introducing each of the short plays. 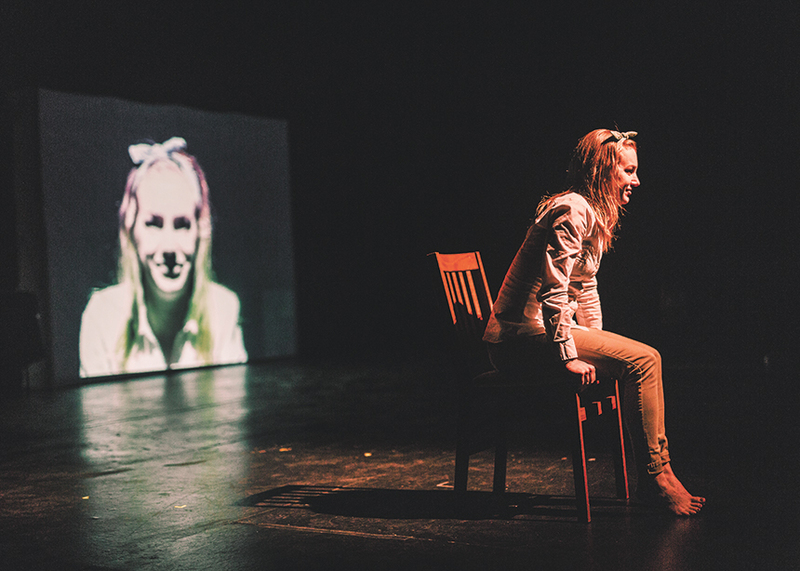 Meghan Fowler, Brendan Kinnon, Lindsey Middleton and Robert Murphy approach the subject matter with courage and sensitivity, with a strong priority to speak truth in their portrayal of a diverse cast of characters. When asked what it was like to play characters who’ve been victimized, Middleton said that she “found these emotions scarily easy to access,” suggesting that the problems of sexual assault and power imbalances are extremely pervasive in our society and our psyche. 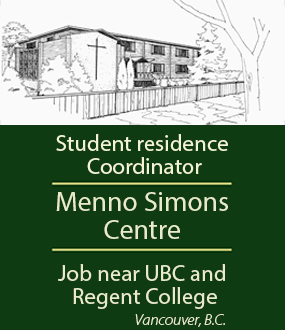 Kinnon stressed the importance of creating an intentionally safe space among the cast and crew. Another involves a conversation between a bishop and a pastor, in which the bishop is stressing how hard it is to accommodate short pastors in the church. The set features a pulpit that dwarfs the short pastor. The bishop says, “Are you sure the pulpit is too big? It’s always been like this. It’s never been a problem before.” This is a pointed, tongue-in-cheek allusion to the struggle of creating a culture of inclusivity within the church with regards to people of diverse gender and sexual expressions. Jonathan Brower’s “Good Hands” is the story of a gay father reflecting on his coming-out journey when he was a teenager. The final indictment of the audience hits like a brick as he looks straight at us and says this is “your fear, not mine.” He refuses to be afraid anymore. The final play, “Lodged in the Body,” is a conversation between two women who have been abused by the same man. Punctuating this conversation are moments when these women seem to choke and retch on words that have been used to abuse and manipulate them. “God made this beautiful,” they repeat, while hitting themselves and making themselves retch. “This is a holy and good thing.” These positive words have been perverted by their abuser to preserve his power over them. The topic of hope came up in the talkback session after the show: Do we see hope in this play? The moment of hope for me comes at the very end of “Lodged in the Body.” The women come together, join hands and say to each other: “This is a holy and good thing.” They reclaim the words spoken to control them, and speak them in encouragement and community. It is a picture of victims of sexual assault coming together bravely, and choosing themselves instead of others. Choosing courage over seemingly insurmountable fear.